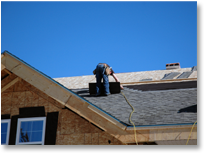 Welcome to Lang Roofing, Inc.
Lang Roofing, Inc., established in 1974, provides a wide variety of expert roofing services for homeowners associations, commercial buildings, industrial parks, and residential customers throughout Southern California. We specialize in re-roofing, roof coatings, and restorations as well as roof maintenance and repairs. Our loyalty is to our customers along with the promise to provide top quality workmanship with skilled and trained craftsmen who deliver the accuracy and efficiency that our customers expect and deserve. The amount of experience gained during our 38 years of operating in the roofing industry has given us the ability to serve a wide range of customers and properties. Though opportunities for business growth are unlimited, Lang Roofing has chosen to remain small enough for optimum quality roofing but large enough to get any job done in a timely manner. To view a full list of our roofing capabilities, please click here.